Going to an Individualized Educational Plan (IEP) meeting was always an emotional experience for me. After a couple of years of meetings with a group of people – teachers, psychologists and administrators – who had obviously already made many decisions regarding my son, and meetings where a “draft” IEP was handed to me when I walked in the door, I decided to make some changes in what I did. First, I took a class on IEPs, offered by our local Arc (the national organization for people with intellectual disabilities. The best part was that they spoke about the specific IEP form that our school district used, not a generic one. IEPs have sections that are required by law. Having someone walk me through one in general terms demystified it for me. I discovered IEPs are not that complicated. Most importantly, I found which sections I needed to focus on to develop an IEP that would meet my son’s needs and direct his learning. Next, I asked my husband to come with me to every meeting. In general, when my husband was there (this may just have been my perception), the school personnel were nicer and talked to me in a more respectful way. In those rare cases when my husband could not come, I would bring a friend, but it was not the same. I began to ask for the “draft” ahead of time. In the meantime, I would draft my own IEP. I never walked into a meeting without knowing exactly what I wanted my son to work on for the next year, and I had it in writing. In the weeks prior to the IEP meeting, I would put a notebook on the kitchen counter, in which I would jot down my son’s strengths and needs, as well as the goals I wanted him to pursue. Strengths: Responds well to the 1:1 aspect of reading and math, extremely motivated to do work because of involvement in football and wrestling, wants to learn to type, thrives on routine, likes to see his daily schedule using words not pictures, more focused on activities when sensory diet and when areas of high interest are used, and his desire to learn, try new tasks, and stay focused has increased. Needs: To continue the 1:1 for reading and math, continue typing class, work on improving handwriting skills, and learn to use a planner (using the strengths listed above). Strengths: Loves being “one of the guys” on the football team, interacts with a lot of people in the school, has a great sense of humor, knows that he needs to have his schedule laid out for him and asks for that, thrives on routine, has a good attitude, is empathetic towards others, likes to please others. Needs: To continue in regular education classes, continue as manager of football and wrestling teams, develop skills for unexpected transitions, learn self-calming techniques when his anxiety goes up. Strengths: Loves extracurricular football and wrestling, adaptive PE, regular PE, and any other gross motor activities, and is in good overall health. Needs: To continue participation in extracurricular football and wrestling, adaptive PE, regular PE, regular weightlifting, and regular health classes, be monitored for hypotonia, and use the bathroom independently. Strengths: Likes to communicate with others, is starting to slow speech when asked, and is tolerant of being asked to repeat words when they are not clear. He likes to use “mantras” and practice what he is going to say in certain situations. Needs: Independently decrease rate of speech, answer why? questions about the way he is feeling or something he did, and stay on topic within a conversation. Strengths: Is very proud when he completes/accomplishes tasks, has good rote memory, has good receptive verbal skills, learns by observing, can focus on subjects of high interest for extended periods of time, and responds well to repetition. Needs: Opportunities to use his strengths during his academic day. Strengths: Likes to work with people, has a desire to learn to read, wants to understand money, wants a job, likes to cook, wants to do activities independent of parents, is proud to use his own cell phone, and loves music. Needs: Become more independent as manager of football and wrestling teams, improve math skills, improve reading skills, use phone accurately and independently, become comfortable riding bus home independently, to learn strategies for calming when frustrated, and to learn to ask adults questions or ask for help. Add/subtract two-digit numbers on a calculator. Will recognize the following coins: penny, nickel, dime, quarter, and dollar; and bills up to $100. Detailed status reports will be sent home on a weekly basis—I received weekly reports on how Ian was doing on each of his IEP goals. It was often short and simple, but it was enough. What exactly will you work on? How will you know when you have met the goal? Ian needs preparation way ahead for any changes to routine. He needs to get places early. He needs a calm environment. He needs closure on everything. Materials modified to instructional level in Ian’s academic classes. Ian needs to know schedule ahead of time and know exactly what is going on—changes, etc. Feedback to Ian needs to be framed in a positive way. Instructional staff will have knowledge of Ian, of Fragile X syndrome, and be familiar with Ian’s behavior support plan. Ian needs frequent breaks that involve heavy work/gross motor activities. Do not be intimidated by your IEP. I know that is easier said than done, but sit down sometime when you have 15 minutes and just look through your IEP. Look for categories similar to what I have listed above. When you create your lists, use the terminology that is in your IEP. This will let the school personnel know that you are serious about this, and you know what you are doing. Also, when the discussion turns to services (this is the best advice I ever received), always frame it in the words of what your child needs. It is not about what you want, it is about what your child needs. I’m not an attorney so I cannot help you with legal issues, but I can tell you what I did and what worked for me. My son made great progress throughout school. All children can. But it requires a lot of vigilance and work from parents and teachers. In summary, I read every book I could find on IEPs, I read everything on our state website, I read everything on the Internet I could find, I attended IEP classes, and I have my own copy of the IDEA law and regulations that is tabbed and highlighted, which I happened to carry with me to every IEP meeting. It somehow always ended up on the top of my pile of papers that I carried in. Jayne Dixon Weber has been a member of the NFXF team since 2007 and currently serves as the director of education and support services. She has two children—one, an adult son with fragile X syndrome, the other, a daughter who is an occupational therapist. 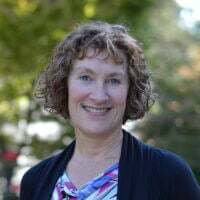 In addition to assisting with the development of the NFXF’s Adolescent and Adult Project, Jayne authored the book Transitioning ‘Special’ Children into Elementary School and is the editor for the book Children with Fragile X Syndrome: A Parents’ Guide. She is also the co-leader of the Colorado Fragile X CSN group. Jayne likes to read, enjoys photography, and goes for a walk every day.